Welcome to the kickoff of the new Women@NASA blog! And goodness me-we are quite excited to display the wonderful work across not only NASA but also the world because there are women everywhere who go unnoticed but are oh-so-admirable. One of the goals of this blog is to highlight diverse women and their contributions to society in an informal manner so that our readers have capturing stories from which to learn, self-educate, and empower. What is diverse?, you ask. Gosh, I sure am glad you asked. Let me expound. Diverse, as used on this blog, means “from a gamut of professional fields, geographical locations, educational backgrounds, interests, hobbies, successes, failures, lessons learned, and all other characteristics thought of when exposed to a new person”. Suffice it to say, if you have or know someone who has an interesting story-contact us. We want to hear all about YOU! Another goal of our blog is for us to stalk the major (and not-so-major) media sites so you don’t miss the best stories! We will post our favorites here so you are up to date with the latest news. We plan to update the blog frequently so visit us often, follow us via the RSS feed, and pass the word to other great women like yourself (and men-who says everyone can’t celebrate good being done?). As we obtain and increase our readership, we would like to open the blog up to members who would like to contribute stories themselves. To let us know about your interest, you may either leave a comment on the blog or contact us here. Coming Soon: About Us-Learn about the women (and the man!) behind Women@NASA. Stay tuned. It is funny—I have written many blogs for my bosses, trying to replicate their styles so I can write in their voices, but I have never written a blog about myself! It is wonderful to now be able to do so, because I am writing to tell you how excited I am by this new blog site and by our soon-to-be-expanded Women@NASA website. I took on the responsibility of being NASA’s representative to the White House Council for Women and Girls about 18 months ago, and one of the first goals I had was to develop a way to highlight the incredible women we have here at NASA and their stories. Luckily, Nick Skytland, our opengov guru, was there to make the vision into reality, and he did an fantastic job. Mamta Patel is now taking on the role and she is already implementing great ideas like this new blog! I often get asked, “why highlight just women on a website? By highlighting just women, aren’t you feeding the stereotype of women being different and making a problem where one does not exist?” Well, if you look at the numbers, NASA is 34% female. However, in scientific and technical areas, NASA drops to 21% female. In professional and administrative fields, NASA is 62% female. Only 26% of NASA executives, both in technical and non-technical areas, are women. I could go on, but I believe that, number one, there is still a need to promote all types of diversity at NASA so that NASA reflects the richness of the United States as a whole. That means diversity of gender, background, ethnicity, mindset, and everything else that Mamta mentioned in her blog. Diversity of people promotes diversity of ideas and therefore greater innovation, and innovation is what NASA should be about. So, I am so proud to highlight the women of NASA and their amazing diversity of backgrounds on our website, and I am so pleased that we are expanding the site to include even more women and their stories. Please do think of posting a blog to this site with your thoughts. We want to encourage innovation through your participation! I spent the better part of my spare time this past week thinking about what I wanted to write in my first real post (one that wasn’t about how this blog got started!). You see-I love reading and writing and much of my free time is spent doing both activities. The smell of books is one for which I yearn, forcing me back into a time when going to the library was not only commonplace but also invigorating. Memories swirl in my head of being forced to put back books for having surpassed the check-out limit! Nostalgia overcomes my senses as even I progress with the changing times and resort myself to an incredibly lazy morning of checking my online newspapers, blogs, social sites, and, of course, trusty ol’ Google. However, my own mourning of the written word aside, had it not been for such progression of the media, I would not have learned about this young woman, Emily-Anne Rigal. And since I envisioned this blog to not only showcase women at NASA but also women around the world, I thought her story would be appropriate for this post. This young girl is the epitomy of gumption. Of the motivation and foresight on which even great leaders have not capitalized. Emily started the organization called WeStopHate, a group aspiring to improve teenage self-esteem that in turn may just deter bullying in schools. At least, that is how I see it. Improve the morale of kids and either the bullies themselves change or the others around the bullies stand up for themselves-all because they have confidence and a sense of self-worth. 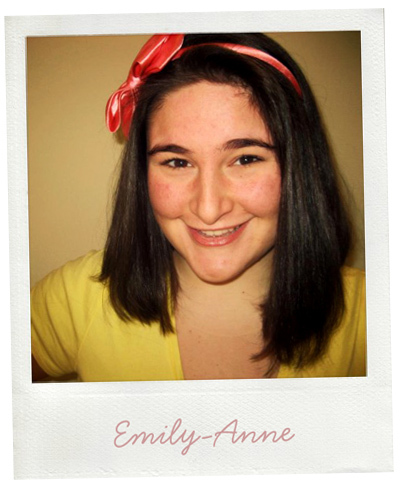 Emily was teased as a young child for being overweight, leading her to change schools. Thankfully, her confidence increased as she got older, and at the ripe age of seventeen, she’s innovating ways to replace hate with love. One teen at a time. In fact, she is being recognized for teen community service from Nickelodeon’s HALO (Helping and Leading Others) Awards. Congratulations, Emily. And keep inspiring those of us who don’t even know you. This post is about fighting. Believing. Passion. Success. Standing up, arms flailing if need be. 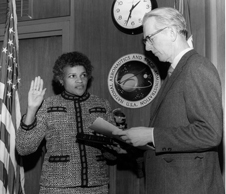 Dr. Harriett Jenkins worked for NASA from 1974 to 1992 in the Equal Opportunity Programs, paving the pathway that many of us have travelled thus far in our careers. Because of Dr. Jenkins’ work, women, minorities, and disabled persons have a luxury of professional comfort not known during her own upbringing and career. She also worked for the Senate as the director of the Office of Senate Fair Employment Practices, taking her beliefs even further through the government. I had the pleasure of receiving the fellowship for which she is named (The Harriett Jenkins Pre-doctoral Fellowship) while I was pursuing my own doctorate in a STEM field. During this time, I witnessed the quiet strength and invisible but surely able-to-be-woken feisty personality. Dr. Jenkins could capture you with a simple smile and all ears were hers. Others who worked with her during her tenure would tell stories of Dr. Jenkins, and they inevitably described her fervor and forward-thinking attitude. Her ability to envision and convince. To not only believe in something but also to see it through. 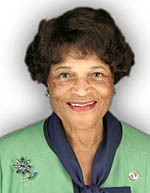 So as a woman at NASA, thank you, Dr. Jenkins. As much as I like to believe that I am solely accountable for my successes of attaining this dream job, I must admit there are many others responsible for the opportunity, even if unbeknownst to me. And I, for one, am thankful. The ultimate woman. 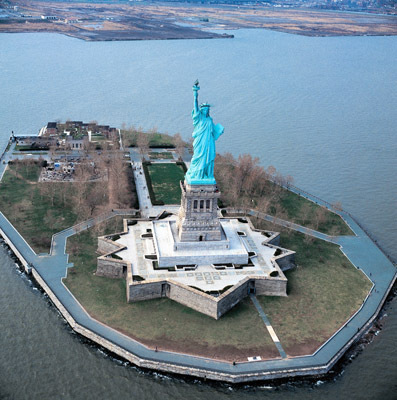 That’s the first phrase that came to mind when I decided to write about our Statue of Liberty. After all, she represents the American dream for so many of our ancestries. A dream to find a better life. A dream to escape persecution. A dream to dream. 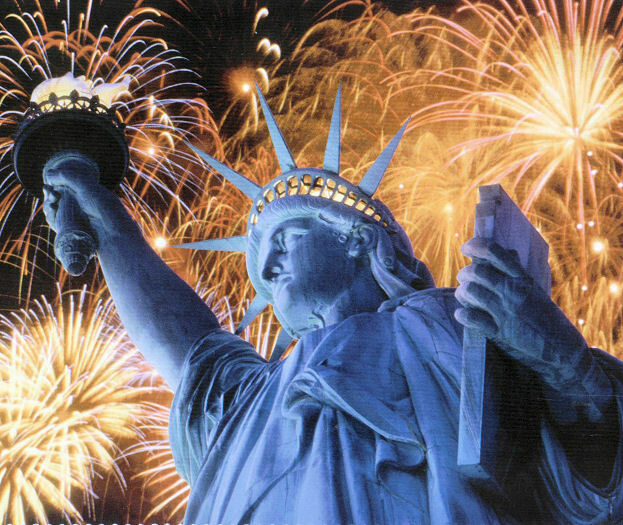 On Friday, Our Lady Tis of Thee turned 125 years old, reminding us of the French tribute to American freedom. For the numerous reasons behinds the gifting to us, she most definitely stands to represent the 12 million+ immigrants who fled the world between 1892 and 1954 hoping that such a perilous journey would come through for the sincere hopes of a better life. A better future. She reminds us of the millions more who came before them and after them all in search of the same. Life. Liberty. And the pursuit of happiness. One of the best books I have ever read is Muhammad Yunus’ Banker to the Poor. In this book, Yunus managed to make me think twice when bargaining during my around the world travels earlier this year. As I traipsed through Kathmandu, Nepal or Siem Reap, Cambodia, Yunus’ words reverberated through my brain, and I just knew that some of these shops had to have been started by someone who once never dreamed she could be a shop owner. You see-this book describes his economic theory and how he practiced what he preached, creating one of the most successful banks (based on repay rate) in the world called Grameen Bank. Oh but wait-it’s not your typical bank. It’s not a bank where you or I would go for a car loan or the best rate on a mortgage. No ma’am. It is the kind of bank that believes in the poor. Not college student poor. The real poor. The ones whose livelihood depends on so little that if one doesn’t fulfill his or her duties, someone dies. A child dies. A sister dies. A parent dies. Yunus takes you through his quest to find the poorest (a feat seemingly easy but proven difficult…finding the truly poor was a task in and of itself) and then begging them for their trust. All so he could make their lives and the economy of Bangladesh better. All so he could teach them how to not only survive but improve life. Here’s the best part. 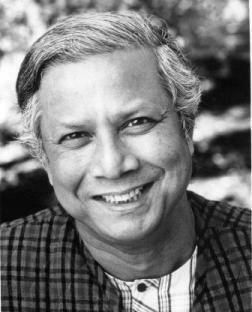 Yunus proved to himself by experience and cultural knoweldge (he is Bengali and served as a professor of Economics there after completing his Ph.D. at Vanderbilt) that targeting women is the most successful way to implement his theory of microlending. The Grameen Bank lends very small amounts of money ($27 for example) in the eyes of a Westerner, but in these developing countries the money amounts to the very number necessary to build a business. An entire business! A means to flourish and get ahead. And women, he found, were selfess. He observed that women would do anything to ensure the survival of their children. Morever, albeit scared for their lives, women were willing to risk everything to have the chance at a better life. Not only for themselves but also for their children. All the while, the self satisfaction that comes with a better life further fuels them to want more. To work for more. To obtain more. It was no easy feat considering that women in many parts of these countries are not to speak to men other than relatives and husbands. Let alone, earn money herself? Well, that’s a sure fire way to upset your husband. It’s foreign to many people in the Western world, but there still exist places where women don’t have the rights we are given by simply being born. It’s always difficult for me to see this when I go back to my parents’ village in India. It’s no comparison to what he describes, but certainly there are times when I am not allowed to stand with the men or must follow behind them. There are times when my Gujarati (the spoken language) is corrected because the verb tenses I use when referring to my husband are “disrespectful”. I take it all in stride because I believe in the saying “When in Rome…”. However, my own travels remind me that these areas of the world do exist. And Yunus fought the fight and I’d say he won. The Grameen Bank has a whopping 98% return rate, and the theory has been implemented in numerous countries, including some segments in the USA. For his work, he was rewarded a well deserved Nobel Peace Prize in 2006. And why am I telling you about this book that is clearly not breaking news any more? Because this article by Ted Turner, which was written earlier this week, reminded me of the book. It’s about how women are the key to slowing down our rampant population growth. The book and the article are not even directly related, but somehow my brain tied the two together. My guess is before reading this book, I would have completely misinterpreted Mr. Turner’s point. I would have huffed and puffed to my husband about how insane one must be to blame women for the world’s population issues. When in fact, Mr. Turner isn’t blaming anyone. Now, I read it with a totally different perspective. Sure, conception requires men too. No one can argue against that. 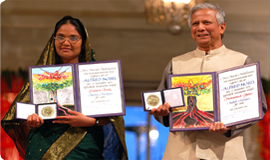 But, Yunus proved that educating women in parts of Bangladesh was key to his theory of improving life. So, maybe-just maybe-Mr. Turner is onto something with this one. Oooh…I couldn’t wait to post about this article. It’s not hot off the e-press, but I just found it and am elated with joy to hear your thoughts. I will keep mine to a minimum and neutral as I am focused on your opinions. In this article, we learn about a prominent South African businesswoman’s notion that a stay-at-home mom should receive a paycheck equivalent to 10% of her husband’s salary. The article doesn’t specify from where the money would come. So, I leave it to you. 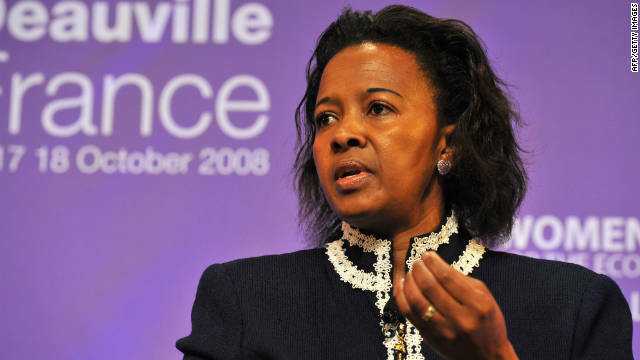 Do you agree with Ms. Wendy Luhabe and if so, how would you structure such a program? If not, why? Please. Indulge in a venue in which to share your thoughts. Women@NASA is expanding! And we are very excited about the future. 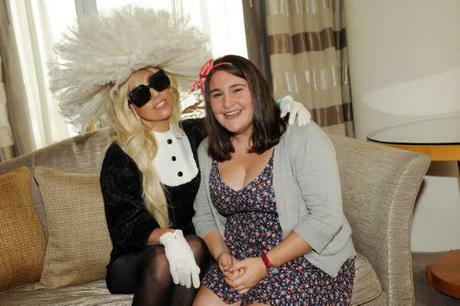 One of the biggest aims of the site is to inspire young girls. And, the NASA FIRST fellows created this incredibly cool and tech-savvy project that does just that. We are proud to be a part of it! For more information, read on. NASA has launched the new http://women.nasa.gov/a2i/ website aimed at inspiring middle school girls to explore education and careers in science, technology, engineering, and mathematics (STEM) fields. The site features four short films and one overview film that explore the careers and backgrounds of early career women who work for NASA in each of the STEM areas. A list of community organizations and NASA affiliated outreach programs with STEM emphasis will be available to interested girls visiting the website. The site will also features four Twitter© feeds where visiting girls can interact with and submit questions to the young women featured in the STEM films.